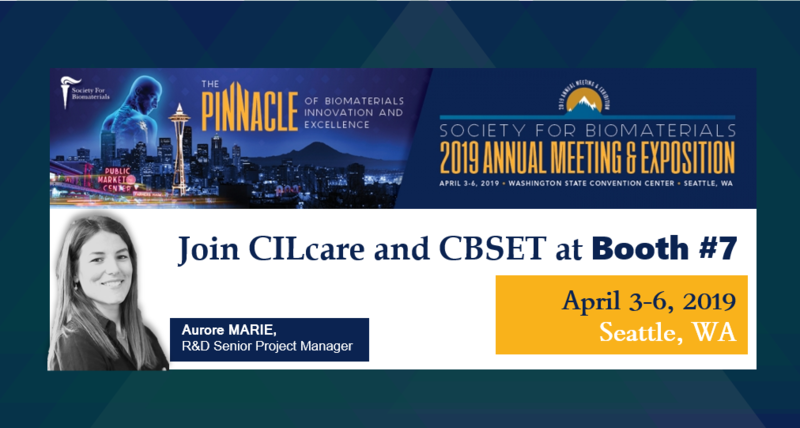 CILcare and CBSET will be attending Society for Boimaterials Annual Meeting on April 3-6, 2019 in Seattle. Join Aurore MARIE, R&D Senoir Project Manager, at Booth # 7 to learn more about the latest advances in drug development in ear disorders. Each year, the Society For Biomaterials Annual Meeting & Exposition serves as the central gathering point for the entire biomaterials field. This year’s Annual Meeting in Seattle promises to offer an exciting interaction between conference registrants and exhibitors. In order to provide exhibitors with steady exposure to conference attendees, coffee breaks and poster sessions will be held in the exhibit area. This format encourages frequent contact and dialogue between biomaterials scientists in industry, academia and the exhibiting companies. All breaks and poster sessions will be held exclusively on the Tahoma Level of the Conference Center.